The village of Karvolia has paid its annual tribute of blood to the Red Goddess—but this year, none of the donors returned. Now the priestess commands the village elders to send another dozen young men and women to the edifice of stone that looms on the cliffs overlooking the village: the dreaded Blood Vaults. 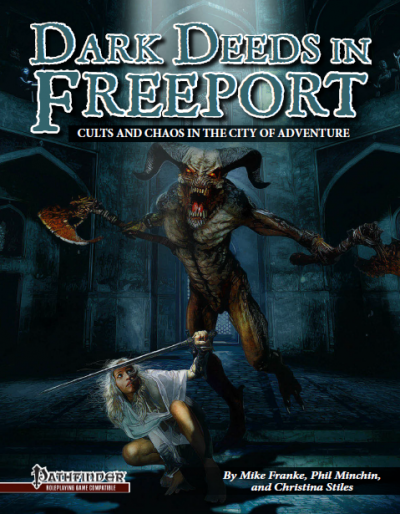 Written for the Midgard Campaign Setting, this adventure can be dropped into any 5th Edition campaign, and uses monsters from both the Monster Manual and the Tome of Beasts. Both volumes are required for maximum playability. 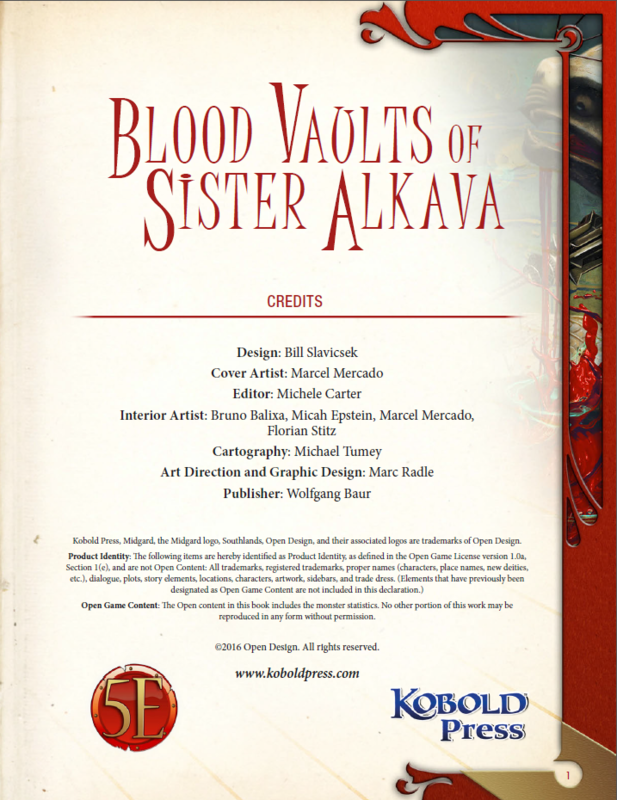 Can you infiltrate the Blood Vaults, rescue the victims, and stop Sister Alkava before her power grows too great to contain? 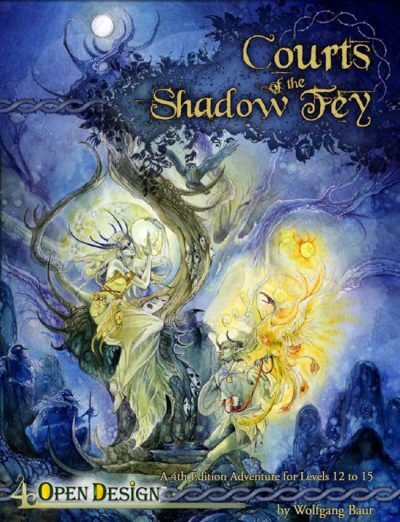 Perhaps it’s a mistake to read an adventure about blood sacrifices over lunch, but this twisted tale involves a priestess who is busy gathering blood for her own nefarious purposes. A brief background and adventure summary lays out what is actually going on, and some adventure hooks are provided to help you entice the party into dealing with this menace… although at least one of them is closely entwined with the political scene in the Midgard Campaign Setting, the intended location for this adventure. If that is not where your game is set, you may want to come up with a reason of your own for why the local villages feel obliged to pay tribute in the form of blood in the first place… it is apparently a regular ritual by devotees of the Red Goddess, but normally a willing (and non-lethal) offering rather than one that is demanded. Suitably adapted, it could make a good side trek if you are running Curse of Strahd. The adventure opens with the village elders of Karvolia requesting the party’s help. They regularly provide a blood sacrifice to the Red Goddess, but a new priestess has moved into the area and the last group of people who went to donate blood have not returned… and now a second tribute has been requested far earlier than normal. The people selected to make it have already left. The party will have limited time to gather information before they set off to the priestess’s location, the Blood Vaults, to find out what’s going on and ensure that the villagers return home safely. There’s a brief description of how to get to the Blood Vaults and a clear plan of the place with detailed room descriptions including monsters, treasure, etc. 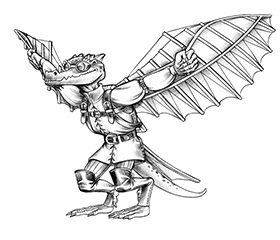 Two new monsters and the priestess – Sister Alkava – are described in full including game statistics; for other monsters you will have to consult the SRD, Monster Manual or in one instance Kobold Press’s Tome of Beasts for any details beyond the bare name of the creature. In essence, this is a fairly straightforward delve. The monsters – including Sister Alkava – are not inclined to conversation or negotiation, all will have to be engaged in combat. What makes it interesting is Sister Alkava’s motivations and how this links in to the underlying politics of the power structures in the area. Removing her will certainly remove a considerable menance not just to the village of Karvolia but to the wider area as a whole, and the possibility of rescuing some of the villagers makes it even more worthwhile. This side-trek adventure clocks in at 13 pages, 1 page front cover, 1 page editorial, 2/3 page SRD, leaving us with 10 1/3 pages of content, so let’s take a look! This module is intended for the standard 4 – 6 characters of levels 5-6. The module provides detailed, well-written read-aloud text, so if you have issues with spontaneous generation of flavorful text, the pdf has you covered. 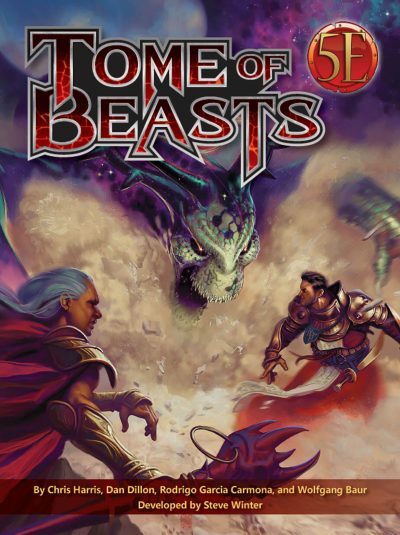 The book does make use of the monsters from Tome of Beasts – if you don’t have the tome, you’ll need to substitute a couple of them. The following review will contain several SPOILERS. Potential players should skip ahead to the conclusion. All right, only GMs around? Great! Sp, Alkava is one of the feared priestesses of the Red Goddess, and she is a real go-getter, who has not only devised a means to keep blood fresh longer, she also has found a way t draw power from the Blood Cauldrons she employs to store the precious red. As art of the Festival of the Verdant Tower, Alkava has collected the tribute in blood from the village of Karvolia…but unlike in previous years, the donors have not returned. Worse, Alkava has just told the village elders that another tribute is required. The elders are afraid of the Red Goddess and the vampiric shroud-eaters, but another cadre of promising young folk lost? A call to adventurers was discreetly sent out…but as the PCs arrive, they are too late: The latest donors have been sent to the blood vaults! 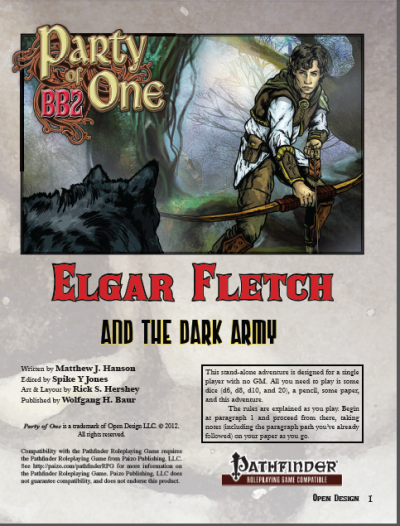 The pdf begins with a variety of different adventure hooks that the GM can employ to have the PCs start the module and the first scene represents the PCs meeting the elders. During the briefing, the PCs can learns some truths and speculation about Valka and her allies. En route, the PCs will have to best an ogre zombie. Arriving at the vaults, the PCs need to pick the lock to the entrance: Minor complaint: The Dexterity check fails to note “(thieves’ tools)”, which is kinda important. The lock is trapped. This would be a good place to note that e.g. the stats of the trap have not been highlighted in the text, so if you’re looking for go-play, this may annoy you; there also is no color-coded sub-header à la the ones for treasure or bolding to set this apart. I am just mentioning this since my readers have asked me to point out the like. 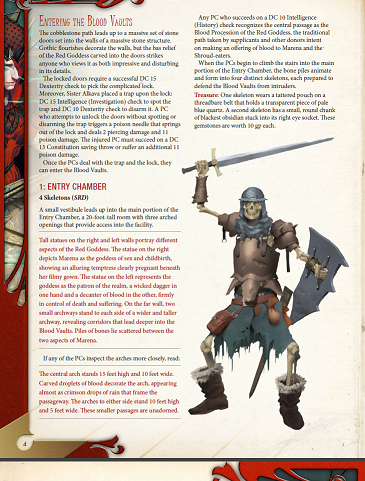 The complex per se begins with a welcoming committee of skeletons (including a nice full-color artwork, though the skeleton’s stance is a bit derpy); after that, things become eerie: Considering the mythology, this is basically a mortal-blood-draining facility, with donor pens and everything, a vampiric cattle-farm under the guise of a religious rite. This nature of the complex is perhaps the creepiest aspect of it. Specters of the fallen, a domovoi and a fellforged and vampire spawn complement the adversaries herein; beyond these, the PCs also get a chance to test their mettle against a blood pudding, which can drain brutal amounts of blood. 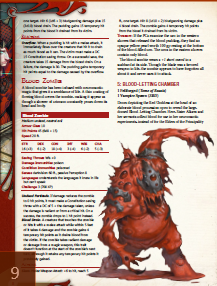 Blood zombies are another new critter herein, though both have in common that their attack value is odd: The blood pudding, at challenge 5 and Str 16 should e.g. attack at +6, while the blood zombie should inflict +3 damage, not +2. The PCs hopefully save the unwilling blood donors before it’s too late. The best part of the module, though, would be the boss battle with Sister Alkava: There are blood cauldrons that fortify her greatly; there are minions. Alkava, as long as the cauldrons exist, has no less than 4 (!!!) additional actions PER ROUND, at initiative 20, 15, 10 and 5. Alkava, if played right, will mess the PCs up, big time. So yeah, the boss battle is brutal and great. Editing and formatting are good, though not perfect. I noticed a couple of minor glitches. Layout adheres to a really nice two-column full-color standard. The interior artwork is pretty neat, in particularly the artwork of Alkava on the cover is neat. The cartography of the complex is solid and full-color, but we don’t get a player-friendly version of the map, alas. The pdf comes fully bookmarked for your convenience. 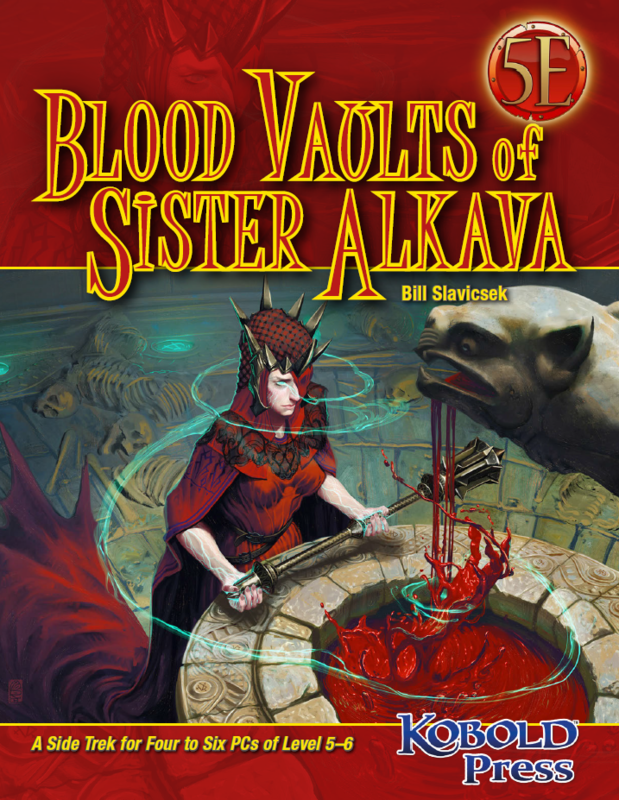 Bill Slavicsek’s trip to Alkava’s blood vaults is a nice module, particularly suitable for convention circuits – the module isn’t particularly long and may be completed in a single session. The atmosphere of the dungeon is pretty impressive, though that is not necessarily due to the module per se, but due to the background of Midgardian lore, which suffuses this module; when removed from Midgard or a similar place where some undead etc. can exert dominance over a cowed populace, this loses much of its impact. I very much enjoyed the atmosphere evoked by the backdrop and the foes can be rather challenging, with the final battle being a suitably brutal conclusion, but as a whole, this module still felt a bit weird to me; while intended only as a sidetrek, I couldn’t shake the feeling that this would have worked better with a couple of pages more, more details for the complex and more room to let its cool concept breathe. As provided, this is worth checking out, yes, but it is probably not a module that’ll blow you away. As such, my final verdict will clock in at 3.5 stars – fans of Midgard should round up, while others may wish to round down. My final verdict will reflect the former due to in dubio pro reo.